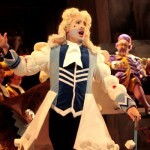 It amazes me to think that this was the first live performance of La Cenerentola I’d ever seen. 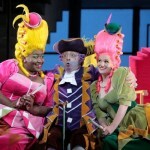 I fell in love with Rossini’s comic masterpiece long ago through recordings and DVDs. Together with the same composer’s Barber of Seville, it’s probably the opera I most often turn to when I’m burnt out on other works’ emotional and intellectual weight and feel like listening to purely happy music. 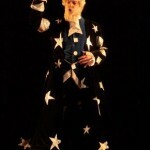 Not only that, it’s one of my favorite operas to present to elementary school classes in my “Opera Quest” program! 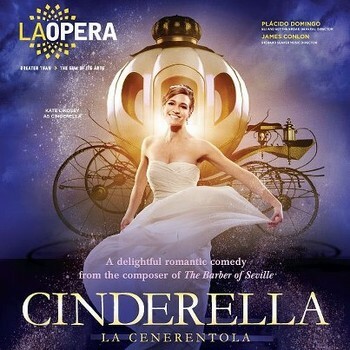 But hard though it is to believe, this LA Opera performance was my first time actually seeing Cenerentola in an opera house – and it was just as joyous an experience as I hoped it would be. Not that it was perfect… it had some shortcomings… but overall, it was just the type of sparkling romp (for want of less clichéd phrasing) that a Rossini opera buffa should be. 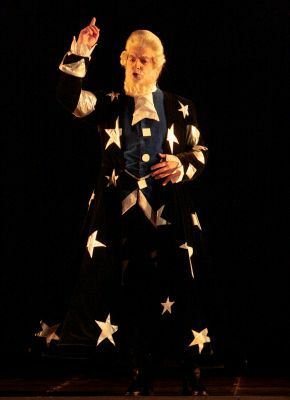 The production, directed by Joan Font of the performance group the Comediants, was new to the LA Opera, but has recently been sweeping the world, having previously been staged in Houston, Barcelona, Wales, Geneva, Toronto and Seattle, as well as filmed for DVD at the Barcelona premiere (must review that one soon!). While it hasn’t suited all tastes, as far as I’m concerned it’s a visual delight. 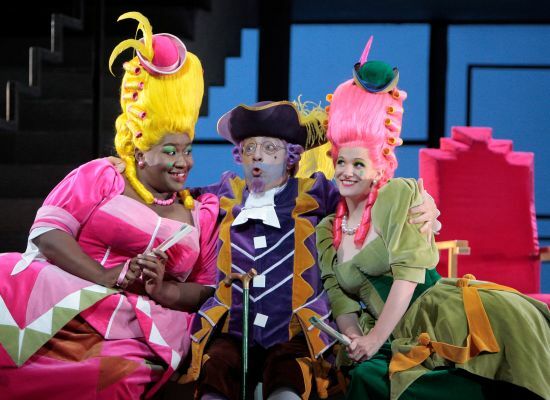 Against a fairly simple unit set, the characters inhabit a bright, cartoon-like world, in colorful costumes with wide coattails, wide pannier skirts and lavish wigs that exaggerate the fashions of the 18th century. 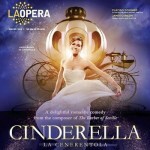 In a shout-out to the original fairy-tale, Cenerentola has confidants in the form of six giant mice (or are they rats? 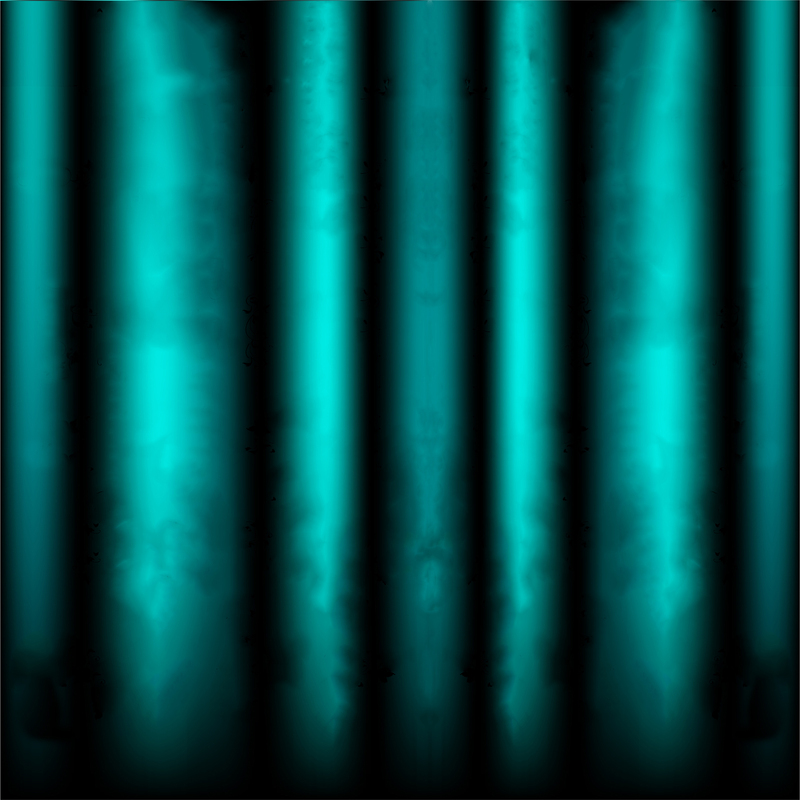 ), who serve both as kabuki-style stagehands and as a silent Greek chorus with their expressive pantomime. 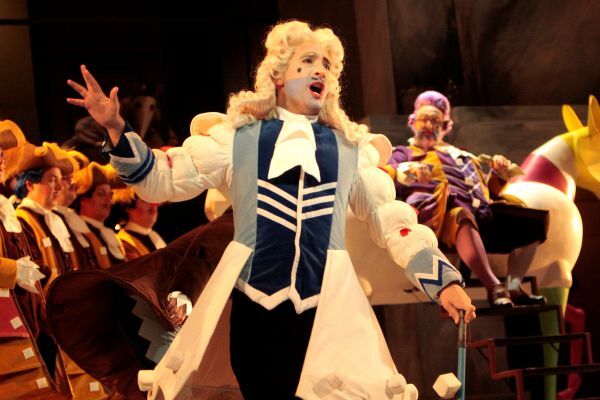 If your ideal Cenerentola is a realistic, edgy social satire like Sir Peter Hall’s Glyndebourne production, then you probably won’t like this one. But if your ideal version is a larger-than-life rollicking good time (yet without lacking human heart), then this is the perfect production for you. The main drawback of the performance I saw had nothing to do with either the visuals or the performers. It was the volume level: nearly every singer tended to sound underpowered. I don’t know the cause. Maybe the production’s set doesn’t have ideal acoustics for a theatre the size of the Dorothy Chandler; or maybe such a light, airy bel canto opera, written for a 666-seat theatre in Rome, isn’t perfectly suited to a 3,197-seat American house to begin with. But that said, no lack of volume could keep me from enjoying this excellent performance. Kate Lindsey was a more-or-less ideal Cenerentola: youthful and pretty, yet with a rich, velvety tone that her ingénue looks belied, and coloratura skill that let her sail effortlessly through both Rossini’s writing and her own embellishments in “Non piú mesta.” As an actress she was endearing and earnest yet never syrupy, infusing the role with all the feisty touches that are de rigueur for modern Cenerentolas without letting them detract (too much) from the girl’s innocence. Her Prince Ramiro, René Barbera, was a singer I had doubts about at first, lacking both the “Prince Charming” figure and the sweet tone of a Juan Diego Flórez or Alek Shrader. But soon I was won over by his bright, pingy instrument (the only voice to sound consistently powerful all night) and engaged presence. 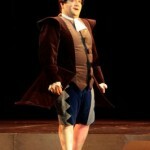 Alessandro Corbelli, a singer I’ve adored ever since I first saw his masterful Dandini in the 1995 Houston Cenerentola DVD, but had never seen in person until now, was predictably a consummate Don Magnifico, giving his all both as a rich-toned bel canto singer and as an exuberant rubber-faced comedian. 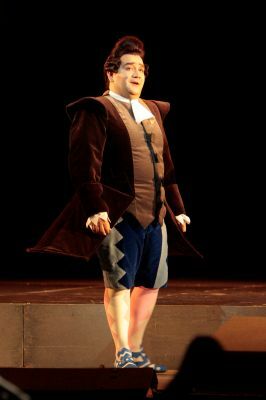 Possibly the greatest scene-stealer of the night, however, was US newcomer Vito Priante, who displayed both a handsome bass-baritone and irresistible comic flair as a gleefully mincing, mischievous Dandini. Nicola Uliveri was a solid Alidoro, well sung and appropriately dignified, while Stacey Tappen and Ronnita Nicole Miller were a vivid, funny pair of stepsisters. In the orchestra pit, James Conlon perfectly captured the score’s blend of exuberant mirth and tender lyricism. I recommend this production (which runs until April 13) to anyone in the LA area, and if you want to introduce your children to the world of opera, this just might be the perfect vehicle! Visually, dramatically and (apart from the slight lack of volume) musically, it’s an outstanding specimen of witty, joyous bel canto comedy.